While in living in Texas I always enjoyed a visit to the Natural Bridge Wildlife Ranch between San Antonio and San Marcos, TX. 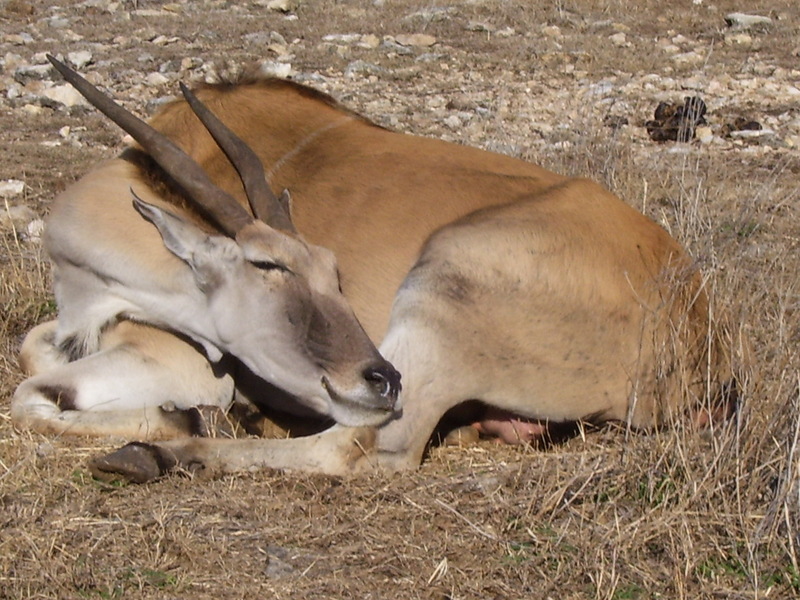 I captured this image of an eland sunbathing on a warm day in the Texas heat during our drive through safari experience. If you are ever in the area, this is a great place to take friends and family. The ranch has 400 acres to explore where you can view over 500 animals from 40 different species.